Our CNC (Computer Numerical Control) machines can transform just about any raw material into a flawless finished product. The larger of our two CNC mills, the VF-4 has a work envelope of 50 x 20 x 25 inches. 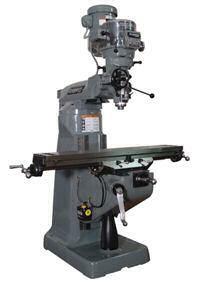 It has a two speed gearbox with a 10,000 RPM spindle and a 24+1 side mount tool changer. It is also 4th axis enabled so that we can use our HRT 160 rotary table to do side work on complex parts. The smaller VF-2 CNC mill has a work envelope of 30 x 16 x 18 inches. 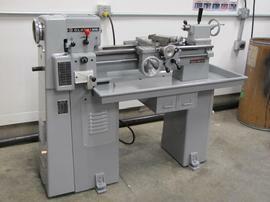 It was purchased new in 2013, and features a 8,100 RPM spindle and 24+1 side mount tool changer. This machine has rigid tapping which allows us to produce tapped holes for parts. 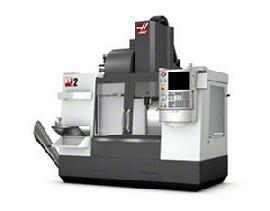 The CNC lathe has a wide range of capabilities such as turning complex contours and rigid tapping. It has a 12 inch diameter swing and 36 inches of Z-axis travel. 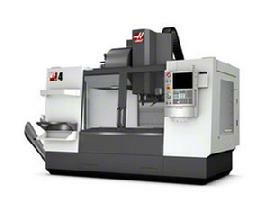 The machine offers precision control and has the programable Haas CNC system. 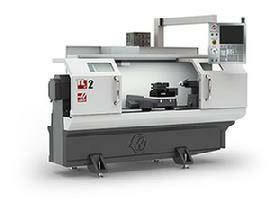 The CNC lathe can also be used manually by an operator. If only one or two parts are needed, we can make it more quickly on a manual machine rather than a CNC machine. We are able to perform most simple milling operations on this knee mill, including angled cuts and drilling holes in long workpieces with a right angle head attachment. Our Bridgeport is retrofit with an Acu-Rite programmable control to make prototype parts much easier to produce. External corner radiuses and bolt circles are easily created with the intuitive user interface. The manual lathe is sturdy, accurate and reliable. The tool rotates the workpiece to perform operations such as cutting, sanding, knurling, drilling, facing, and turning so the part is symmetrical on that axis.